Lost After Dark is a film about A group of teens that sneak out of their high school dance to go on a trip to a friend's cabin. They decide to steal a big yellow bus and have some unsupervised fun for the weekend, but when their bus runs out of gas on a deserted road, they discover an old farmhouse and a cannibal killer living inside. First things first, we have been hit with quite a few movies that claim to be a "throwback" to the 80's, but in reality they're just a pile of steaming poo that is created to cash-in on a subset of genre fans who happen to love the decade (myself included). Of course there are the few that are good, but they really play up the comedy aspect and most times it doesn't feel genuine. I'm happy to say Lost After Dark doesn't go the steaming pile of poo route or the campy "haha" trail either. Nope, this is a solid played straight horror film that would have made a decent splash if released between 1980-89. Let me cut to the chase and get to what matters. The practical FX are pretty awesome in the film. All the kills sell really well and look amazing. I'm talking sweat pitchfork kills and people being drilled in the back with hand powered augers. If you're going to do a 80's themed slasher this is how you do it. Only one shot did I notice CGI and that was a decap scene but it was only a few frames, yet it still sells and doesn't detract from the wonderful practical FX. The most shocking part of the film, to me, was the score. I didn't expect to hear such an awesome composition of sound. I figured it would be okay, but this was a thing of beauty. Eric Allaman and/or Yan Perchuk do what all great composers should do and that's to help sell each kill and build the suspense, when needed, with sound. Seriously, excellent score. The only thing that comes off "rough" in the film is the acting. Now I'm not talking about Robert Patrick who brings it home as Mr.C, it's more the male leads excluding Jesse Camacho. Jesse nails the role of guy stuck in the friend zone and comes off real. The other guys just seem a bit too stiff and unnatural with their dialogue. However, the females really kill their respective roles. Lanie McAuley, Eve Harlow and Elise Gatien shine the brightest here and deliver outstanding performances. 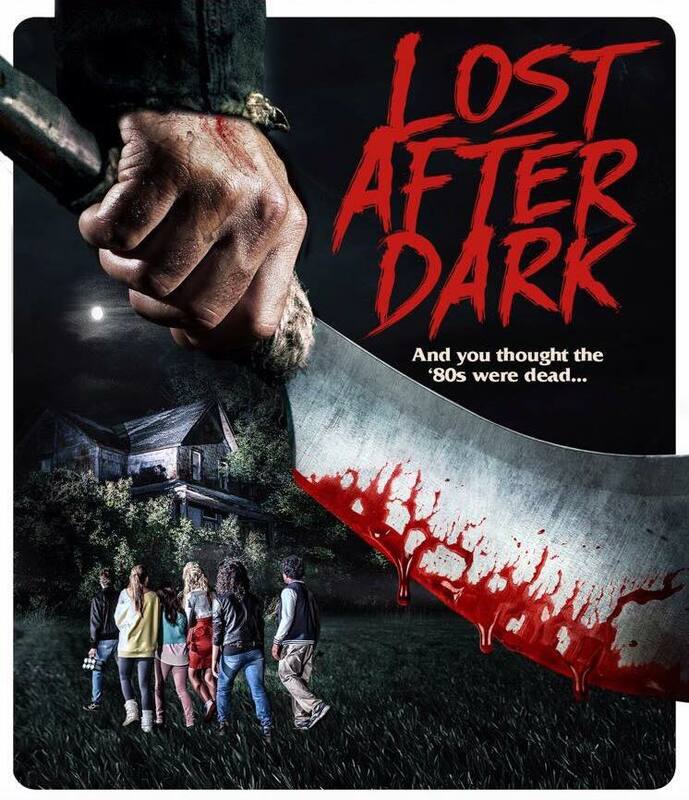 Lost After Dark is a true 80's slasher through-and-through. They played it straight and didn't ham it up one bit, and for that I thank them. Ian Kessner and Bo Ransdell knocked it out of the park and delivered a film that they and fans alike can be proud of. Now only one question remains, when's the sequel coming?